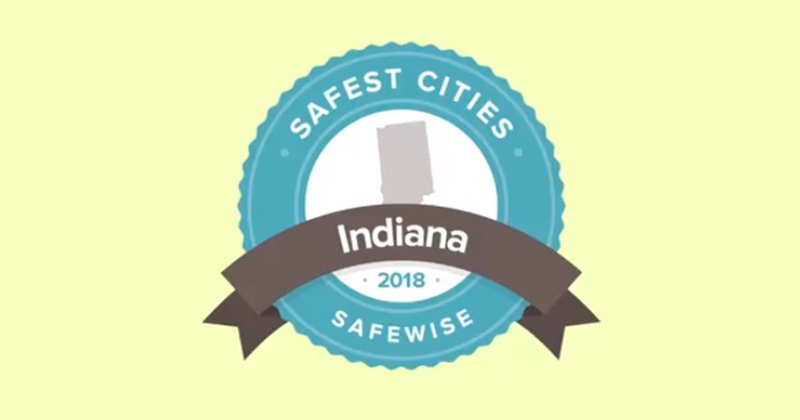 STATEWIDE -- The Indiana Top 20 Safest Cities of 2018 list has been released by safewise.com. The list is complied using the latest data from the FBI Crime Report. The state average is 6.25 violent crimes per one thousand people. Cities on the list include St. John, Fishers, Carmel, Columbus, Vincennes, Zionsville, West Lafayette, and Beech Grove.